Net Trajectory: 4th generation now! LTE, the 4th generation mobile technology, looks as if it will meet a number of nationally important needs. An example from our current work is in the business of controlling sustainable electricity generation and storage from remote locations. But like any new wireless technology, we won’t know until we’ve tried it. Many of Britain’s economic competitors are well down the road of trying out LTE. At the time of writing, over 19 network operators are offering LTE services around the world: but not, apart from some technology-demonstrator trials, in the UK. The simplest reason why LTE isn’t available in the UK is that the UK regulator Ofcom hasn’t allowed it yet. Ofcom has for the last few weeks been digesting the views that UK businesses expressed in its consultation on allowing Everything Everywhere to launch LTE services in its 1800 MHz spectrum. The other major mobile network operators responded to the consultation by asking Ofcom to wait until they could have some allocated spectrum to do LTE as well, for the sake of the public benefit that a competitive UK LTE market would bring. Last week it became clear that the other operators’ position may not be purely a matter of disinterested public spirit. Telefonica UK and Vodafone UK have asked Ofcom to allow them to share substantial parts of their network infrastructure. It’s estimated that the combined network could achieve combined savings of over £1 billion when enhanced to support LTE. Combining the networks will take time, but the longer that they delay their implementation of LTE, the less it will cost them. The argument being presented to Ofcom is about having a competitive LTE market in the UK. But in the short term our choice isn’t actually between a competitive LTE market and an monopolistic one: it’s between an emerging market led by one enterprising operator and no LTE market at all for the UK. In this particular case, Ofcom ought not to let proper concern for a competitive UK market in the short term outweigh the need for UK businesses to be competitive in the world economy for the long term. 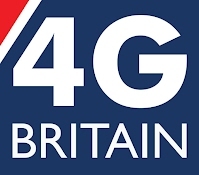 The UK urgently needs the opportunity to explore the benefits of LTE 4G. Many nations’ administrations have acted promptly to enable LTE deployments ahead of the UK. If Ofcom delays further, it will stifle the UK LTE market UK and weaken the UK internationally. There’s nothing wrong in letting one operator take the risk of going ahead and developing the market: the other operators will only benefit, in the long run, from the lead operator’s endeavours. Net Trajectory has joined a lot of bigger UK businesses in supporting Everything Everywhere’s campaigning site 4G Britain: not because we’re certain that the LTE market will work; and not because we want to favour EE; but because UK businesses really need to start experimenting with LTE, and now. Post script: Everything Everywhere's press release promoting 4G Britain and mentioning Net Trajectory's support, is here.